Annmarie Novotney has served on Komen Central Indiana’s Board of Directors since 2012. As the Board Treasurer, she primarily helps with budgeting, financial statements, expense approvals and coordinating with Komen’s national office. Annmarie also serves on the investment committee and the budget task force committee, and has donated breast tissue at the Komen Tissue Bank. Annmarie’s contributions to Komen relate to her full-time job as a CPA, where she regularly conducts external audits for many nonprofits with similar operating budgets as Komen Central Indiana. Annmarie became involved with Komen because of her close personal connection to the fight against breast cancer. Both of her grandmothers were diagnosed with breast cancer post-menopause, in the 1980s – 1990s, at a time when breast cancer was still a taboo subject and when less sophisticated treatments were available. Then, when Annmarie was in college, her mom was diagnosed with HER2+ breast cancer at age 48. She remembers how difficult it was to watch her mom go through chemotherapy and three surgeries over the course of 18 months, and this experience solidified Annmarie’s passion for the cause. Annmarie’s mom is now seven years cancer-free. They have attended the Indianapolis Race for the Cure together, a day that brings everything full-circle for Annmarie each year. She’s able to look at the sea of pink shirts – more than 1,000 survivors in the crowd – and know that her hard work on Komen’s behalf is paying off. “Over the last six years, we’ve turned ourselves into a more sustainable organization, and we’ve become smarter and more purposeful about the money we’re granting out,” said Annmarie. It’s natural for people to ask questions about ‘where the money goes,’ and Annmarie is happy to answer. “I look at a lot of financial statements. We are responsible and conscientious with the dollars we raise; the bulk of expenses are focused on Komen’s mission,” she explains. Annmarie was born in Youngstown, Ohio and moved to Indianapolis when she was 12. 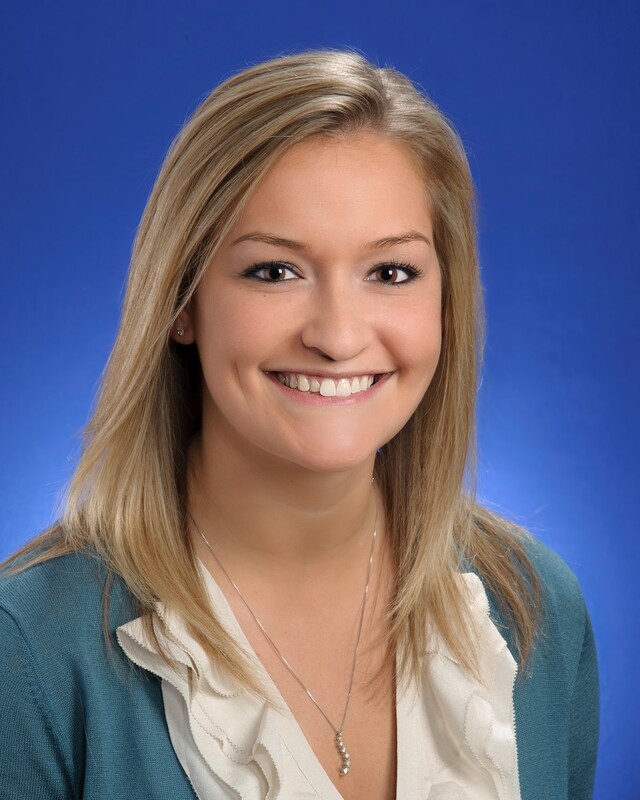 She completed a five-year program at Indiana University-Bloomington to graduate with her undergraduate in Accounting and MBA and has worked at Blue & Co, LLC since. She and her husband Devon stay busy with their three-year-old son Bradley, 11-month-old daughter Penny and two dogs, Walter and Baron. Reflecting on her time with Komen, Annmarie says her favorite memories include Pink Tie Ball, attending a corporate breakfast with a Kroger employee who spoke about her survivorship, attending Board meetings, talking with other people who are passionate about the same things, and helping to move the organization forward.